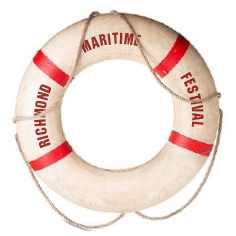 Celebrate Richmond’s historical connection with the sea at the 16th Annual Richmond Maritime Festival, a free family event at a National Heritage Site returning the summer of 2019. Accessible parking is available on Westwater drive, North of Zone 9, in the part of Westwater drive that is closed for the festival. Please approach on Westwater drive from the East (via Trites Road or Dyke Road). Show the traffic control officers your Accessible Parking Permit and they will direct you. While most of Britannia Shipyards is accessible, some heritage buildings have doors that may be too narrow for some wider wheelchairs. Due to the tides the ramps are very steep during the day. Unfortunately wheelchair access is only permitted from 5-6 pm due to safety concerns. Before 5pm, wheelchairs can access both the Seine Net Loft in Zone 5 and the Shipyard Building in Zone 11 as well as the deck behind both. Due to steep ramps, strollers are not allowed on the dock. Please park them at the stroller parking before going into the Seine Net Loft. For your convenience we have Quicklinks ATMs set up in Zone 1 and Zone 9. Over two days, land lubbers and sea-goers of all ages will enjoy activities that delight one and all. Discover local lore, visit beautiful wooden boats, create works of art, bring your picnic blanket and enjoy the tasty treats. Take in music, painters, potters, roving performers, puppets, story tellers and much more! 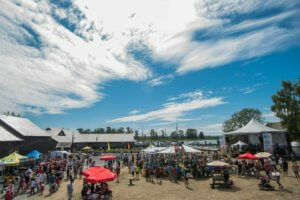 The Richmond Maritime Festival celebrates all things waterfront at the Britannia Shipyards National Historic Site. From wooden boats to model boats, water safety to sea creatures, local lore to fishing history, the festival invites visitors to explore a spectacular heritage site with activities and performances for all ages.